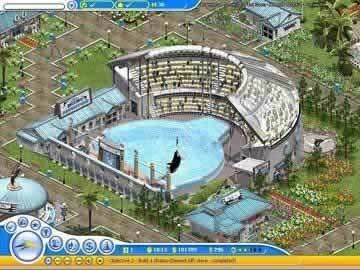 Sea World Adventure Tycoon Game - Download and Play Free Version! 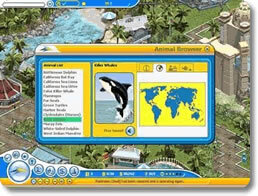 With Sea World Adventure Tycoon, you are not a guest it's up to you to run the whole show! I hope you are ready to be busy! As you start this exciting game, you will be answering questions from guests... "When will the rollercoaster be done?" ... "What about the animal shows, are they ready?" ... "I am hungry, what food do you have here?" ... It will be your job to make sure all the guests are happy! This is not as easy as it sounds! You will have to hire workers, come up with attractions, decide on rollercoasters, place attractions in a logical sequence, and make money! As you make one decision, you may be eliminating another option that would be profitable. 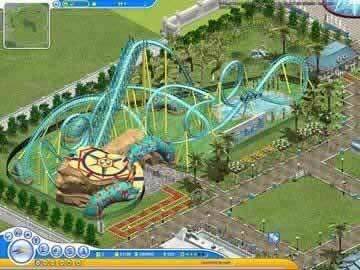 Choose wisely and your park will be the destination of the nation. Choose poorly and go bankrupt!